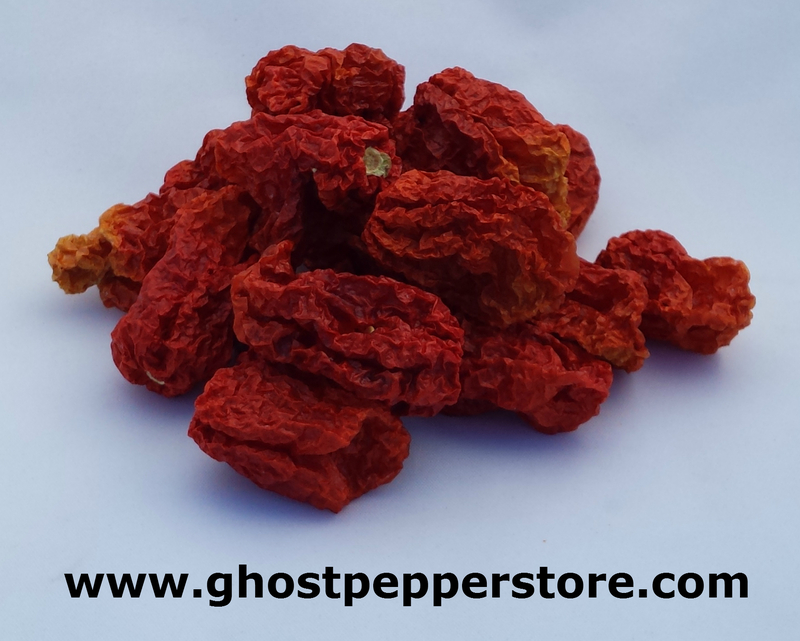 Dried red Scotch bonnet, great for an authenticate Jamaican flavor in your home cooking . Whole dried peppers taste best when rehydrated in oil or water before use. Approximately 250,000 SHU. 1 oz bag contains approximately 30 peppers.